We all know that 40 is the new 30 in health, fitness and looks, but, unfortunately, this maxim just doesn’t hold true for fertility. In most women, fertility begins to decline around age 30. After age 35, the rate of decline is steeper, and once a woman hits 40, her chance of getting pregnant each month — no matter how healthy she is — is approximately 5 percent. A healthy 30-year-old woman has a 20 percent chance each month. This decline in fertility is all part of the normal aging process and does not mean that there is anything wrong with your body. As you age, there is a decline in your ovarian reserve — the egg quantity and quality. As you age, your body has fewer eggs — it is estimated that only a few hundred eggs are actually released during a woman’s reproductive years. Your hormones also change. 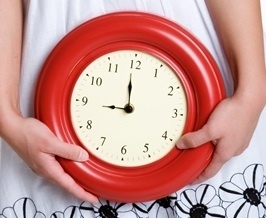 Menstrual cycles can become shorter or irregular, and the ovaries do not respond as well to hormonal signals. As you age, your eggs are also aging and may have more genetic abnormalities, known as aneuploidy. Aneuploidy lessens your chances of getting pregnant and increases your risk for miscarriage. Because it is the ovarian reserve that is so crucial to fertility, freezing your eggs when you are younger may help you to have a healthy child later. For example, if a 37-year-old woman freezes her eggs, she can expect a pregnancy rate typical for 37 year olds when she thaws, inseminates and transfers the resulting embryos when she is older.